For the past 20 years Mike Green of Maritime Classics has served customers from all over the United States who desire the best for their wooden boat. Mike believes that servicing your boat should be an enjoyable experience and we pride ourselves on being the most responsive and customer oriented facility in the industry. This is more than just a business to us; it represents a lifetime of family tradition that stems back to 1874 when my great, great grandfather, Christopher Columbus Smith, built his first boat. 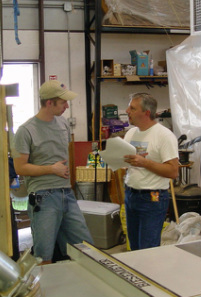 Our passion and attention to detail has been handed down through our family’s history. Unfortunately, it happens, and when it does we have the means to repair it! Dockside Services - Let us come to you. Historical Accuracy | Since the beginning, Maritime Classics has paid attention to the details of how boats were originally manufactured and constantly strive to maintain consistency in the restoration process, unless specified by the owner. 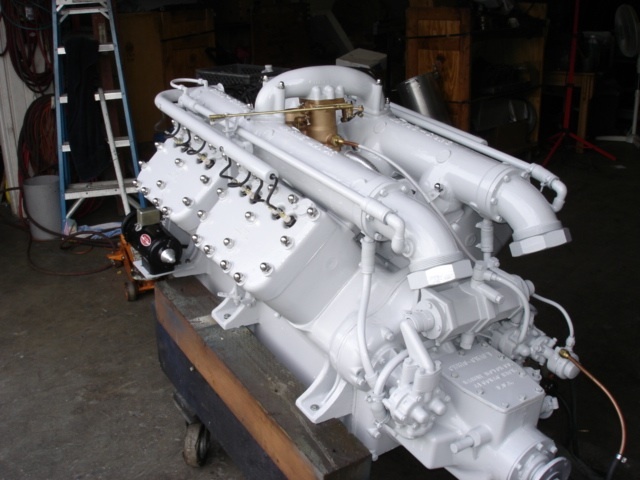 5200 Construction | Maritime Classics has been using 5200 methods for many years with great success. By using traditional methods that do not vary from the manufacturers original construction, boats are restored first by sealing all the wood then the use of the 5200. Maritime Classics has found that this is the best way to achieve a long lasting and safe hull for the future of the boat. If we don't have the part you need we have a vast network to find rare parts. We even have the ability to cast, machine, or construct parts. Call for quote and part availability (231) 486-6148. TRAVERSE CITY — Mike Green doesn’t just work on boats, he restores them. It’s an important distinction for a man who poured his life into preserving classic boats. Green, of Traverse City, restores antique wooden boats, or “woodies,” to factory condition, he said last week as he walked around the bow of a 1941 Century triple. The boat arrived at his Traverse City shop when snow still covered the ground. It was a heap of rotting wood, barely resembling the shape of a boat. Green tends to focus on Chris-Craft boats — his great-grandfather Christopher Columbus Smith founded the boat maker — but the Century is so rare he couldn’t turn down the opportunity.